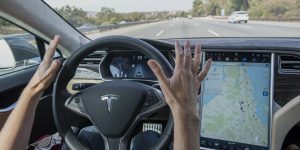 “Tesla is consistently introducing enhancements proven over millions of miles of internal testing to ensure that drivers supported by Autopilot remain safer than those operating without assistance,” the company said in a July 14 response. “We will continue to develop, validate, and release those enhancements as the technology grows. While we appreciate well-meaning advice from any individual or group, we make our decisions on the basis of real world data, not speculation by media.” Autopilot, Bloomberg Businessweek, July 25, 2016. Real world data. What a novel idea. Now we don’t always have the data we need to make the best decisions but when we have it, it is best to use it. Of course having data doesn’t mean someone won’t argue a course of action contrary to that data. I’ve found that being data driven, as opposed to guesstimate driven leaves a lot of people cold. When we sit in a meeting, looking at the data, and then seeing where it says we should go, like an autopilot, what is everyone’s purpose in that meeting? I recall many a status review meeting where we looked over the current list of product defects (hundreds), looked over the defect arrival and departure trend and then projected that out to our delivery deadline based upon historical rates for similar projects. We were in good shape and on the right glide slope. Keeping up our current level of effort we have a high probability of delivering on time. Meeting over. What? No discussion and debate on the existing defects? No demands for when will defect X be fixed? No crisis because we have hundreds of defects outstanding and more coming in? That can’t be right! All those highly paid managers and experts in the meeting were not needed to decide what we needed to do now? Yes, many of them had no purpose, I ultimately realized, when there was no need to agonize over each and every detail of the project. One of the drawbacks of becoming data driven then is that all the “fun” of arguing and debating and making seat-of-the-pants promises declines significantly. Yes, it does not go away. There is always a need for discussion, debate and decisions, but they become shorter and much less frequent. A lot of managers lose their purpose when this happens. They need to then adjust and find other value added activities. But for those managers who got to their positions because of this ability to shine in meetings and confrontations they often don’t have the best skills to be more engineering focused. I’ve never found an organization in government nor business that couldn’t significantly move towards being more data driven. The drawback as indicated above is this can dramatically affect many people, especially managers of all levels. This is one of the typical things we need to prepare for as we move an organization from being less ad hoc to being more objectively data driven. Not only do we get dramatically better than we were before but when emotionally driven forces reach in and try to steer us off course, we can easily and unemotionally deal with it because we have the insight that tells us the right way to be going. How data driven have you been able to make your project or organization and what good and bad has come from that?